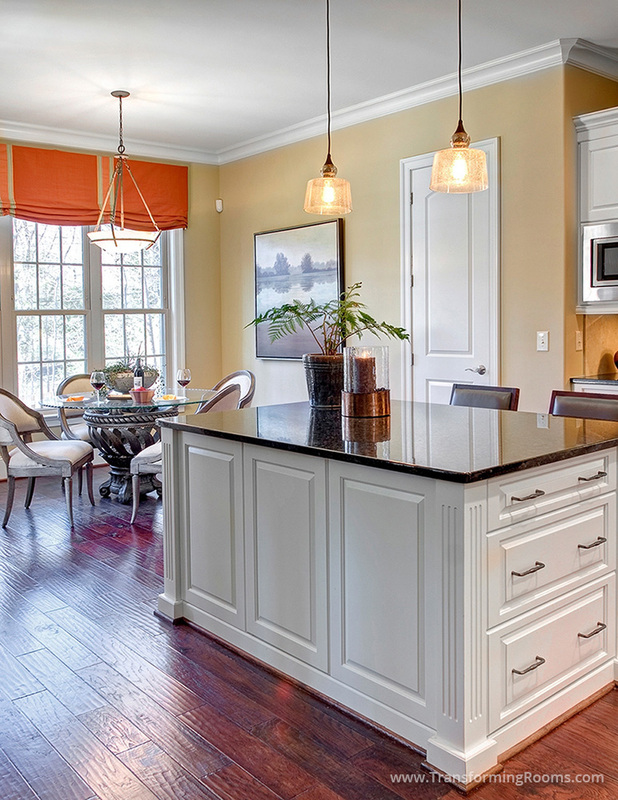 The after is our "redo" of the other design firm's kitchen plan. Our kitchen island provides more storage, is a better size and scale and provides a transitional instead of country style. 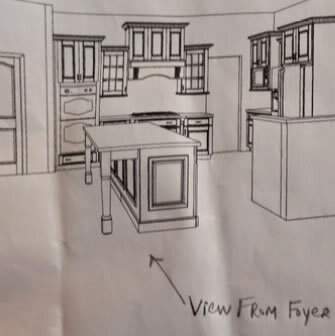 Better still, our plan allows the homeowners to view the TV instead of the kitchen sink, which was important to them!